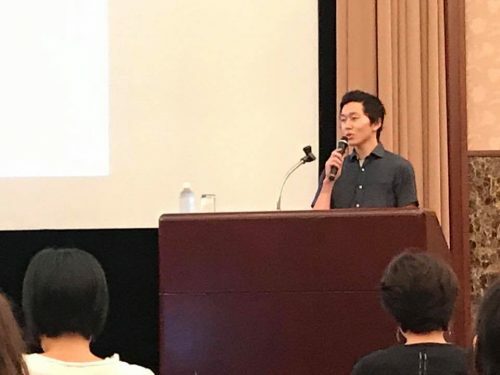 On September 9, 2017, our CEO Takeshi Nozawa made a presentation titled “Gender-related expressions in Japan and abroad ― Aiming for a stereotype-free society” at Gender and Media symposium organized by Asahi Institute of Journalism. He explained differences in media’s approaches between Japan and other counties with detailed examples, analyzing the issue from following perspectives. ・By stereotyping people into specific categories, we may be undermining each person’s possibilities. ・Unintentionally thinking inside the box may be a factor in generating an uncomfortable society for diverse individuals. As a case of global initiatives, he talked about the approach taken by Advertising Standards Authority (ASA). ASA, a UK-based regulator, has begun to develop new advertising regulation standards. In their report published in July 2017, they demonstrated a shift in their targets of gender-related regulations from “offensive and/or discriminatory ads” to “ads that reinforce stereotypes.” Nozawa mentioned the followings as some of the cases to be regulated. Media is a mirror of society. We hope the mirror will reflect a better state of society.